Capalaba Tree Removal - Wynnum, offer tree removal, grinding, tree lopping and tree removal in areas such as Wynnum, Wynnum West as well as Carindale. Capalaba Tree Removal has a large workforce of certified professionals that offer tree lopping Wynumm service and advice. We can work on all sorts of trees, plants or bushes and do tree stump removal, be it in commercial or private properties. With our service, there’s no such thing as big or small trees. We wll do it all. We have been tree lopping Carindale, Wynnum, Birkdale and the whole Redlands area for the last 20 years. All trees are a great addition to the environment of your home, however they can also be a nuisance for many reasons. As summer and spring comes around, property owners typically get a problem or two regarding their trees or plants. To make sure that your trees don’t cause any issues, maintenance must be done in your property. Of course you can do this task on your own and do your version of stump grinding, but wouldn’t you want to leave it to the professionals instead of risking damage to property of injury to yourself or others? Call us today on 0730640638 or use our Free online tree lopping quote form for an assessment on what will suit your needs. Furthermore, we believe that our three removal costs are the best in Brisbane; we’re equipped with some of the best and state of the art tree lopping equipment, making it easier to work quickly and efficiently. Our team offers tree care, arborist advice and maintenance specializing in in the regions of Tingalpa, Wynnum and Wynnum West. One of the first signs to contact Capalaba Tree Removal is when you notice a dying tree on your property as it can be a real danger to you, your family and your property. Our tree loppers’ goal is to remove unsafe trees that can potentially harm those people and structures around it. Protecting our clients’ properties is our number one priority. Our way of tree stump removal guarantees that there won’t be damage in your belongings while we’re working on your yard..
Our team from Capalaba Tree Removal is one of the most trusted names when it comes to tree lopping in Wynnum and surrouding areas. With years of experience, we’re committed to providing trusted assistants as all work is fully insured and in accordance to all OHS regulations. Each of our Capalaba Tree Removal staff members go through rigors training to commit to the proper rules and regulations of the Australian Safety Standards. 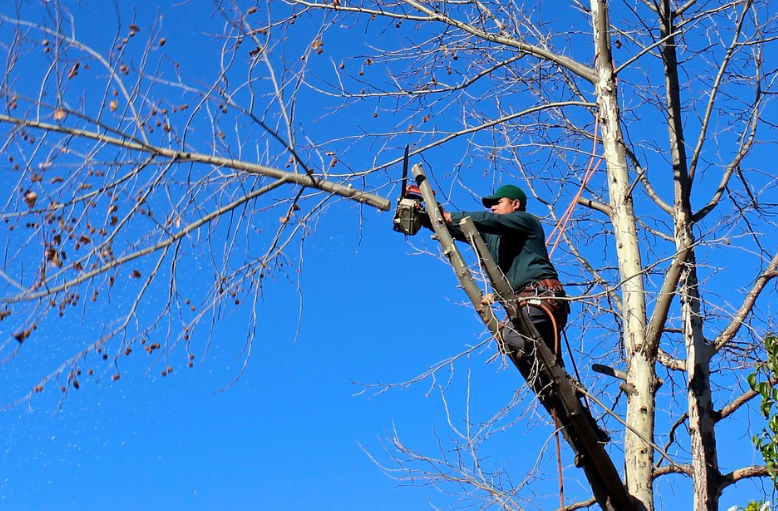 Tree cutting is an unsafe process as tree loppers typically use expert equipment to cut down and lopping tress. Consequently, branches as well as wood chips fly almost everywhere, making it hazardous to pets and especially children. Once you give us the go signal, our objective is to give you back your yard the way that you had it. Our team of tree loppers is avialable 24/7, so if you’re near Tingalpa, Wynnum and Wynnum West then we’re the perfect Tree lopper team for you. Our tree loppers ensure that they are constantly up to date with all safety regulations, to cause minimum to zero harm to you and your family. Compared to others, our tree removal costs less expensive yet delivers way better results than others. A tree can either be a friend or an enemy, so whether a certain tree bothers you, doesn’t hesitate to drop us a call at Capalaba Tree Removal. As we’re more than willing to give you a guide on how to check which tree has to be eliminated and to be kept. Because we’re driven to give the right services to the suburbs of Tingalpa, Wynnum and Wynnum West, we’re also offering to give a free quote so you can understand all your expenses right away. So If you are in the Tingalpa, Wynnum and Wynnum West area and need the experts in tree removal, tree lopping and tree stump grinding call the team at Capalaba Tree Removal today. Our expert team of experienced arborists, tree loppers and stump grinders are able to come to you anywhere in the Wynnum and Bayside area to assist with your tree removal needs. Call us today!